The Fly Morgue is a response to the conventional method in which organisms are collected, preserved and catalogued in Natural History museums, which is a process that passes on a unique informational as well as cultural context to objects found in our ‘natural’ surroundings - including dead organisms. 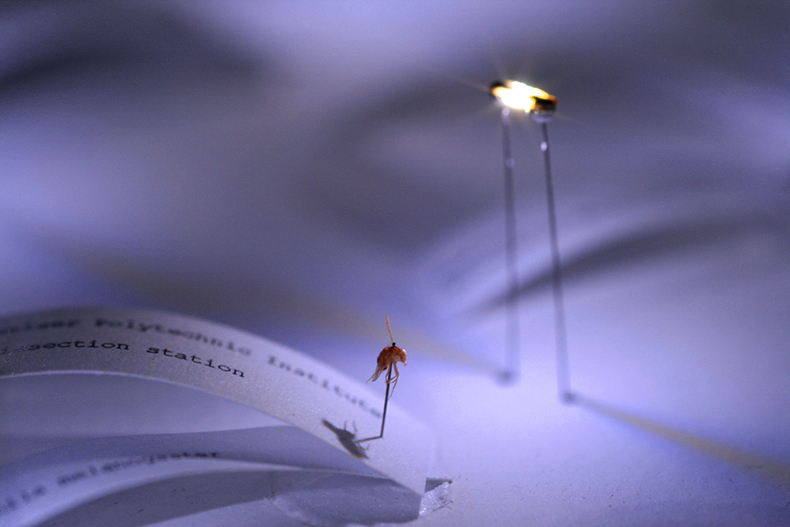 This display is a variation on standard insect pinning techniques applied to fruit flies (Drosphila melanogaster). Fruit flies are one of the most common model organisms used in life science research due to their reproductive and genetic advantages. Male fruit flies which are significantly smaller in size compared to females are often considered less useful as experimental material and are discarded in soap water or bleach. 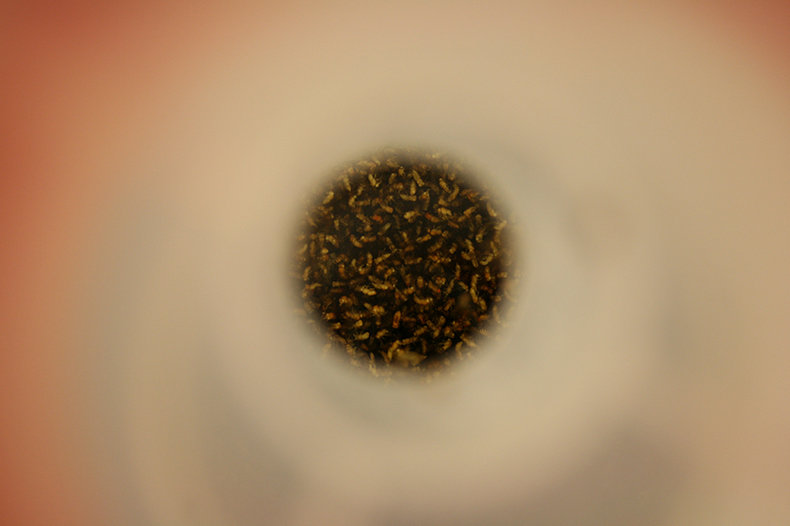 The Fly Morgue shows 36 transgenic male fruit flies that were collected from a soap water bottle or "fly morgue" from a biological research laboratory at Rensselaer. 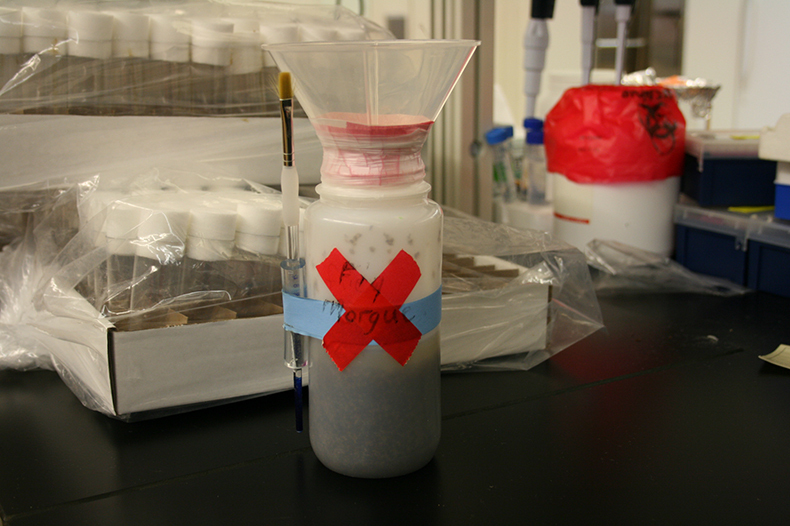 Although various types of transgenic fruit flies are bred in strictly segregated conditions, they are dumped into the same “fly morgue” bottle for termination. The flies on display were collected at random from one of these bottles, and are of different age, size, and show a variety of physical traits such as eye pigmentation, wing shape and body color. 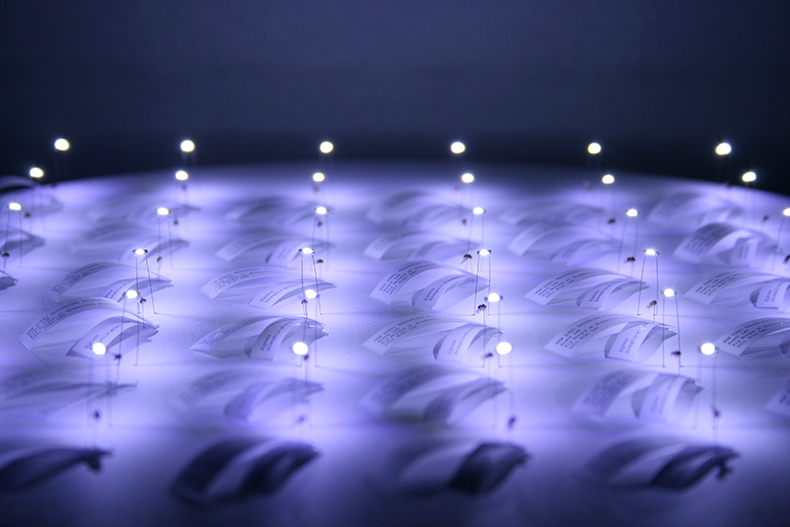 In order to emphasize this subtle variation of each fruit fly and demonstrate another interpretation of the term ‘morgue’, we gave each fly its own lighting source, which were hand-built using 0603 surface mount LEDs. 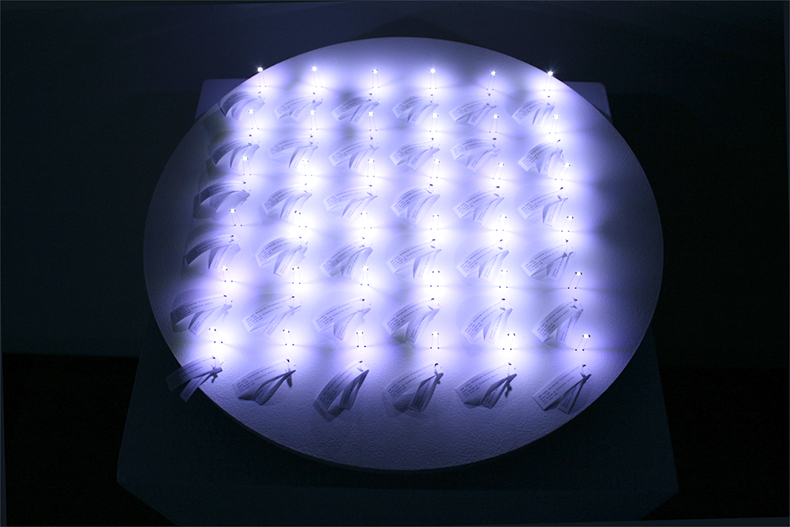 Fly Morgue is a collaborative project by Soyo Lee and Alejandro Borsani and was commissioned by the Center for PostNatural History (Pittsburg, PA).